The Phabrix Sx TAG is specifically designed for rapid fault finding and broadcast compliance testing. Test and measurement equipment is the only objective means available to scientifically determine when TV content is too loud, of if a scene is too bright, too dark or not the right color. Everyone’s a TV expert. The proper test and measurement gear separates subjective opinions from objective, repeatable, scientific measurements to verify compliance with industry standards. IBC offers the opportunity to evaluate the latest in T&M equipment. There are so many test and measurement exhibitors at IBC 2018, the coverage has been divided into two separate articles. This article is Part 2 of the two-part series. Part one in the series is available at this link; New T&M Solutions to be Showcased at IBC 2018-Part 1. Exhibitors are listed in alphabetical order. Sencore will highlight a wide range of both test and measurement and quality control devices at IBC 2018. Included are 4K decoding HEVC & JPEG 2000, SMPTE 2110 SDI over IP conversion, High-bitrate stream spooling and recording, OTT delivery, monitoring and analysis and 10G I/O digital Ttrnaround. The company will also display HEVC HD encoding and streaming solutions for $1K. The Sencore MRD 7000 4K/UltraHD contribution decoder supports Next Gen Codecs. It is designed to serve as a reference decoder with the ability to decode JPEG 2000, HEVC, H.264 & MPEG2 with support for HDR. Incorporating 12G-SDI, HDMI 2.0, 4 x 3G-SDI or SMPTE 2110 outputs and delivering resolution up to 4K/UHD, the decoder packs powerful performance in a versatile environment. The new MRD 6000 is the ideal decoding solution for those looking to leverage the savings of the latest codecs while still maintaining flexibility. Accepts inputs from IP, ASI & RF, the MRD 6000 can natively decode HEVC, H.264 & MPEG 2 up to 1080p60 which can be upconverted to 4K/UHD output via 4 x 3G-SDI. The new DMG 7000 Video Gateway for digital turnaround applications that use protocols for distribution over the internet will also be introduced. It uses the latest in open source protocols and SRT (Secure Reliable Transport) that can transmit content over the open internet with confidence. Field and headend models keep cost down in single channel or multichannel applications. 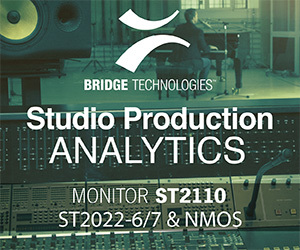 The new Sencore VB440 40G SMPTE 2110 Analyzer uses BridgeTechnologies' VB440. VB440 can analyze multiple SMPTE 2110 HD/3G/4K signals in real time to help customers deploy and troubleshoot this new technology.Easily take high-bitrate PCAP captures and measure signal timing/spacing, PTP-based delay, audio/video details and redundancy delay using the innovative new touch-screen friendly user interface with live video view. Textronix' TekMOS is a unique Tek picture quality algorithm. Tektronix has added the value of multiple enhancements to its live and VOD cloud video monitoring solutions, which will be demonstrated live at the IBC 2018 show. The Sentry and Aurora measurement systems provide the visibility and control necessary to successfully deliver quality live and VOD content to customers across complex workflows, reducing the risk of churn and brand damage. The Sentry live stream monitoring solution has added TekMOS picture quality analysis. The addition of TekMOS to Sentry provides a picture quality rating on multiple live video streams concurrently. TekMOS is a non-reference picture quality analysis algorithm unique to Tektronix that generates a Mean Opinion Score (MOS) using machine learning techniques. Those scores have a strong correlation to how viewers would rate the quality of the content. TekMOS scores can be viewed through graphical displays or extracted using an API along with reasons for not achieving a perfect score. This removes the guess work from diagnostics and enables quick and effective corrective action. Tektronix will also showcase several new product enhancements live at IBC including cloud monitoring for HDR VOD content. Aurora file-based QC systems supports Amazon Web Services (AWS) workflows and Amazon Simple Storage Service (Amazon S3) and can now validate 4K-HDR content. Aurora offers a wide range of automated QC tests for cloud-based workflows, and honed-in large enterprise deployments with large volumes of premium content. Sentry now provides dynamic ad insertion monitoring and analysis for Live OTT with programmatic control for OTT streaming content on dynamic advertising insertion. Sentry monitors that ads are correctly placed within the ABR stream and playing back with the same quality as other content. It also now supports Common Media Application Format (CMAF), an ABR standard that allows streaming providers to encode their HLS and Dash media in one common format vs multiple formats. CMAF greatly reduces the number of streaming variations needed to deliver services. 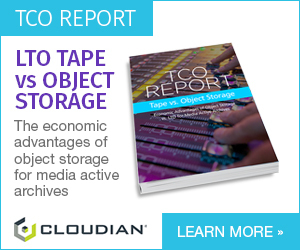 Tektronix is also introducing new cloud-based pricing options for live and VOD quality assurance, including subscription based, per video stream, and on-demand options. OTT networks use cloud-based services that enable operators to start with lower initial operation costs and scale as they grow. These pricing options allow operators to scale their monitoring costs as their networks and workflows evolve. Telestream will show the world’s-first, fully virtualized, end-to-end, video monitoring solution. Telestream will showcase what it claims to be the world’s first fully-virtualized end-to-end adaptive bit rate (ABR) video monitoring & analytics solution. 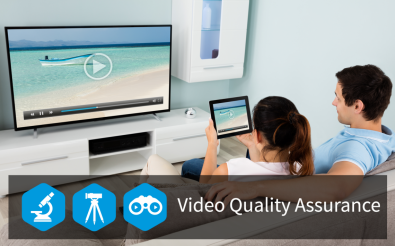 Leveraging the powerful end-to-end integrated monitoring approach pioneered by Telestream’s iQ family of video quality assurance solutions, this approach ensures Quality of Experience (QoE) for subscribers and Quality of Service (QoS) for service providers. It spans the entire content production and distribution network, right up to a consumer’s living room or mobile device. “Against a background of turbulent change that is generating new video service and network distribution methods, broadcasters and service providers need to migrate from established business models built on hardware devices with manual configuration to virtualized software applications with automated and orchestrated configuration,” commented Joel Daly, VP Product Management - Video Quality Monitoring and Analytics, Telestream. Part of the challenge is to increase agility within large legacy networks. Using this unique virtualized version of the market-leading iQ end-to-end solution, the probe installation and configuration exercise has shortened from taking several days of an engineer’s time to just a few minutes. The Torque Video Systems' DVMon 10G offers a 10Gb interface option with fiber connectivity. Torque Video Systems will demonstrate two new models at IBC 2018 for its DVMon product family, the DVMon 10G and the DVMon DVB-T/T2. The DVMon 10G provides a 10 Gigabit interface option to the Torque DVMon product family. It is fitted with a standard SFP+ modulator connector, and can connect to single or multimode fiber which may span within the data centre or span across hundreds of kilometres. Supporting both direct IP monitoring and IGMP, the DVMon 10G provides operators with analysis and alarms of key QoS and QoE parameters. Danny Wilson, Founder and CEO of Torque Video Systems said, “The DVMon DVB-T/T2 adds to the portfolio of our RF monitoring options. Already supporting DVB-S/S2 and DVB-C, the DVB-T/T2 version makes DVMon the ideal tool for terrestrial operators upgrading their network to the new DVB-T2 standard." The DVMon DVB-T/T2 provides full I/Q constellation display and modulation distortion measurements. Additionally, the embedded transport stream is extracted for QoS/QoE analysis and monitoring. The Video Clarity Extreme 8K is the industry's first fully capable video quality analysis system for 8K resolution imagery. Users can measure and analyze the quality of 8K uncompressed video using perceptual metric and side-by-side visual comparisons on a single monitor. Video Clarity will showcase the latest ClearView software release, which provides several new customer-driven features. One major update is NIQE, a new high performance, no-reference metric that provides statistically trained, highly accurate quality measurement for those times when a source reference is not available. This is often the case in today's cloud-based delivery workflows. Other new features include 12-bit video image support for record and play operations and HDR signaling for HDMI on ClearView outputs. The company is also demonstrating RTM IP with 10G IP for testing uncompressed or compressed streams. It is an automatic, real-time test system for understanding quality of source versus processed stream or file in the ST 2110 and ST 2022 network environment. Long-duration picture and audio quality, with lip sync test and automatic error recording, is entirely in the IP domain. Newly added to RTM systems and software, the RTM Manager with Automated File QoEtesting routine for VOD or OTT file-encoding workflows helps users that need an actual, full-reference video and audio quality measurement in addition to checking file structure. RTM Manager measures image and sound quality on any number of compressed video files with up to 16 channels of audio automatically. Video Clarity will also show its latest 4K SDI Venue Players IP, with ingest and playback for 10G IP networks, typically used in product testing labs, museums and theme parks desiring the highest-quality, most reliable playback. Don't miss Part 1 of this two-part IBC 2018 Test and Measurement preview. New T&M Solutions to be Showcased at IBC 2018-Part 1. Companies covered in that article include: Bridge Technologies, Interra Systems, Leader Instruments and Omnitek.